It is well worth a read for anyone interested in writing fantasy flash fiction, or flash fiction in general. The third in my Deeds of Peregrine and Blade series of heroic/sword and sorcery fantasy has now been released. 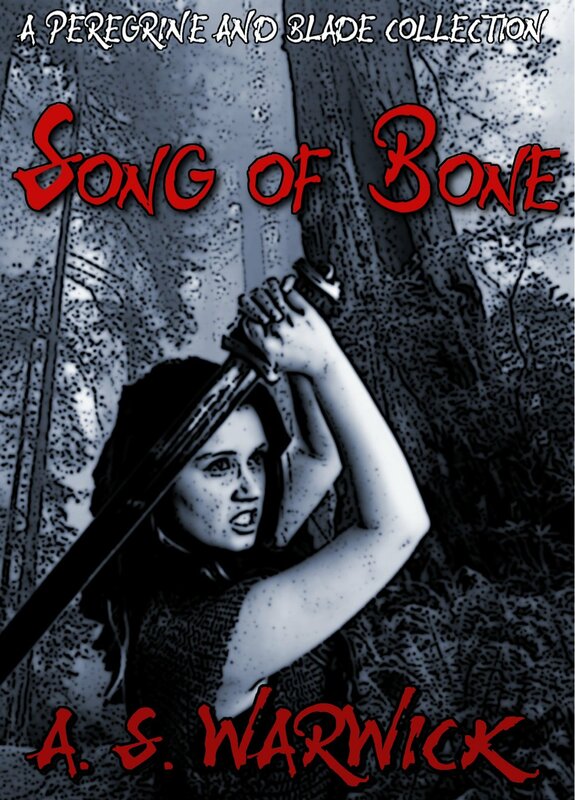 Song of Bone is a 24,000 word novella, in which Peregrine and Blade travel to the far, frozen north, investigating an obscure message inscribed upon an ancient bone. There they meet the diminutive natives of the chill waters, an ancient curse, and an even older evil and those that stand watch. In addition, it comes with a bonus 6,000 word short story, The Tavern Cursed, set not long after Peregrine and Blade first met. 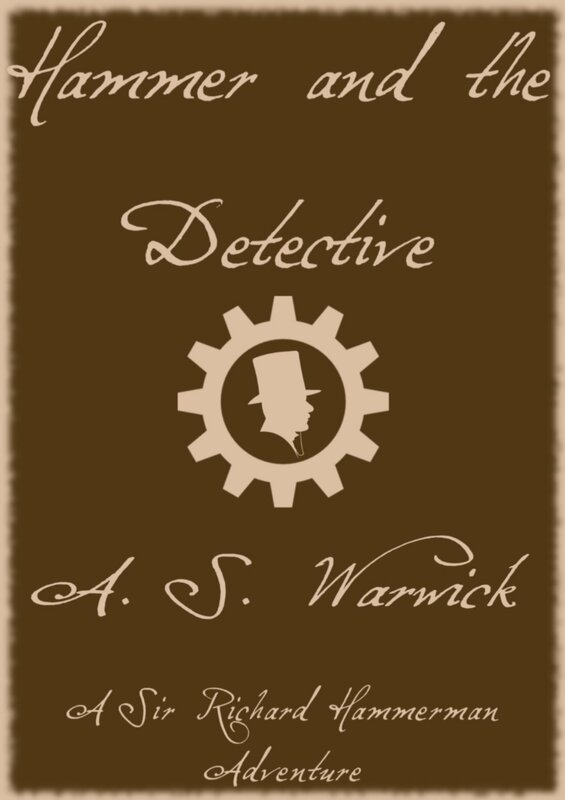 The second of my Sir Richard Hammerman series of alternate Earth steampunk fantasy novelettes is now compelte and available at a range of place. Hammer and the Detective is a 10,000 word story in which Sir Richard’s quiet sojourn in Cape Colony is rudely interupted by assault and abduction. Along with his brother Captain Archibald Hammerman, and their friends, he is drawn into a world not of hisown, one of agents, secrets and undercover detectives. Available at Amazon, Smashwords, Barnes & Noble, Apple and Kobo. To mark the release of Stonemaul, I am having a one week free offer on it. Until Jan. 14th 2013, if you purchase a cope of it at Smashwords with coupon BD46Y, you can get it for free. Yes, free. Best hurry, for this offer expires soon. Going through some old files I found a 10,000 word story I had completed some time back and forgotten about. So I cleaned it up, gave it a cover and have uploaded it on Smashwords where it is now available for free. The story, Hammer of the Pygmies, is an Alternate Earth Steampunk Fantasy adventure, starring Sir Richard Hammerman, gentleman-adventurer, his loyal manservant Obadiah Crabb, and the inventor Doctor Hamilton Gooding. I had planned for it to be part of a bundle of 3-4 novelettes, but I thought that given the others weren’t started yet I should at least publish this one to see what people thought of it. 52 Shades of Short Stories is a challenge I recently came across to write a short story a week for 52 weeks – ie a whole year. The concept behind it is to see whether it is possible to make a living just through short stories, and if it is possible to write that many short stories in a year. Now that I have finished off the last project I was working on, I am going to give it a go. Right now I have around six stories ideas to work on, so that should, hopefully, get me started. I have finally, after a bit longer than expected, finished off and released the next volume of short fiction in the Peregrine and Blade series. Entitled Deeds of Valour, it comprises of four stories, totalling about 21,000 words in total. Currently it is on Smashwords and will be shortly on Amazon. Its taken a while, unfortunately, but I’ve almost finished off the next group of short stories. Three are complete and one is over half way through the final rewrite. All that will remain then is to tidy them up, group them and find a cover for them. This collection is the second in the Peregrine and Blade series of heroic fantasy. One of them I’m especially happy with, even though it involves no fighting, no treasure and only four people in it. For me it is an unusual story, but one I enjoyed writing. As you may have noticed I’ve been kind of absent for a while. After a long, long time not being one, I’ve gone back to being a student (studying a course in Library and Museum Technology). Trying to settle back into that again has sort of taken up my time and I haven’t done a whole lot of writing or working on the blog. But I think I’ve settled down enough now. Over the last few days I’ve even got some writing done, finally finishing off the rewrite of a 8,000 word novelette in the Peregrine and Blade series. Just need to finish off the next two so I can release them at some stage. And I have to finish off the submissions people have sent in as well.